Professor Davis' political activism began when she was a youngster in Birmingham, Alabama, and continued through her high school years in New York. But it was not until 1969 that she came to national attention after being removed from her teaching position in the Philosophy Department at UCLA as a result of her social activism and her membership in the Communist Party, USA. In 1970 she was placed on the FBI's Ten Most Wanted List on false charges, and was the subject of an intense police search that drove her underground and culminated in one of the most famous trials in recent U.S. history. During her sixteen-month incarceration, a massive international "Free Angela Davis" campaign was organized, leading to her acquittal in 1972. 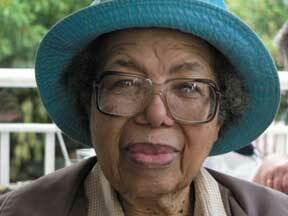 Professor Davis' long-standing commitment to prisoners' rights dates back to her involvement in the campaign to free the Soledad Brothers, which led to her own arrest and imprisonment. Today she remains an advocate of prison abolition and has developed a powerful critique of racism in the criminal justice system. She is a member of the Advisory Board of the Prison Activist Resource Center, and currently is working on a comparative study of women's imprisonment in the U.S., the Netherlands, and Cuba. Former California Governor Ronald Reagan once vowed that Angela Davis would never again teach in the University of California system. Today she is a tenured professor in the History of Consciousness Department at the University of California, Santa Cruz. In 1994, she received the distinguished honor of an appointment to the University of California Presidential Chair in African American and Feminist Studies. This series was written by Anita Cornwell in the Spring of 2007. 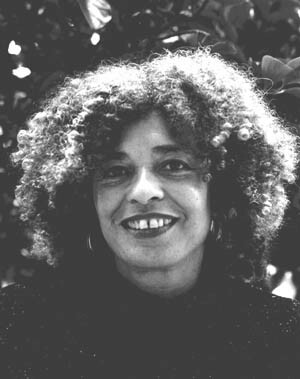 Angela Davis first met revolutionaries from the Third World in 1962 during her two months of study in Paris at Alliance Francaise after her first year at Brandeis. She felt a bond between herself and the Algerians and the beginnings of desire to involve herself in some kind of effort to improve the world. That summer, Davis attended the Eighth World Festival for Youth and Students in Helsinki where she met revolutionaries from Cuba, Africa, Latin America, Asia, and the Middle East. When she returned to the U.S., she found an FBI agent waiting for her: "What were you doing at that Communist Youth Festival?--Don't you know how we feel about Communitists? Don't you know what we do to Communists?" Although it would be six years before Angela Davis felt ready to join the Communist Party and devote her life to "the cause," the seeds were now sown. "The Communist Manifesto hit me like a bolt of lightning, I read it avidly, fidning in it answers to many of the seemingly unanswerable dilmennas which had plagued me...what struck me so emphatically was the idea that once the emancipation of the proletariat became a reality, the founation was laid for the emancipation of all oppressed in the society....Like an expert surgeon, this document cut away cataracts from my eyes. The eyes heavy with hatred of Dynamite Hill, the roar of explosives, the fear, the hidden guns, the weeping Black women...children without lunches...the back of the bus...the police searches...The final words of the Manifesto moved me to an overwhelming desire to throw myself into the communist movement."